Nioh is a game that slipped me by when it was initially released back in February. This is mostly due to the fact that I tend to focus on the PC. Also, our very own Kai reviewed it. Fortunately for me, we’re getting towards the end of the year which is traditionally a drought for new releases. All the major titles are out. It’s the perfect time to look back at an older game or play a re-release. That’s exactly what I’m going to do. To be precise, I’m looking at the PC port that is Nioh: Complete Edition. Frankly, there’s only so much that can be said about the game. Most of it has already been covered in our original review. What was said back then is still true today, as are the Dark Souls comparisons that permeate any discussion on Nioh. 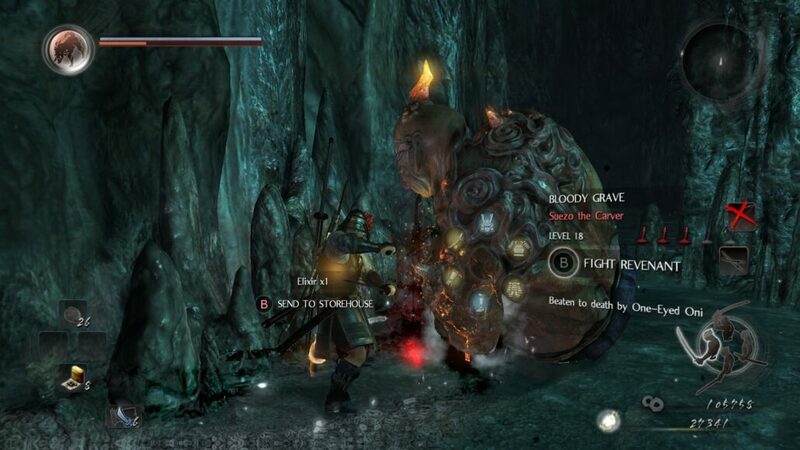 This is Oriental Souls, having moved away from the medieval fantasy that inspires the From Software’s titles. What I’ve found most surprising about playing Nioh is I actually like the aspect that I thought I’d most dislike. This is the disconnected nature of the areas. While the tutorial level takes place in the Tower of London, everything else is located in Japan. Each level taking place in its own standalone location does help the game in ways. These locations can be varied, disparate in style. There’s no need to make them a cohesive whole in the way that other titles attempt. Of course, while this removes any real sense of exploration from the game, Nioh more than makes up for it with variations of its own. Primarily, this takes form in the equipment system. The loot system works much like that in such as Diablo, Torchwood or other ARPG’s. Every enemy you encounter is a veritable loot box of armor and weapons. 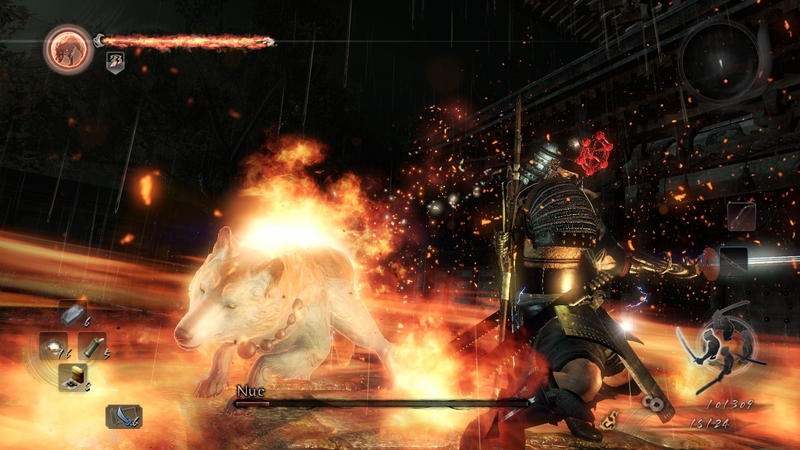 Rather than be limited in the variety of available equipment available, Nioh has a myriad. Fortunately, the complete edition unlocks all seven weapon types from the very start as well as the two magic types. It’s a shame that the sheer quantity of items that drop can become overwhelming. Fortunately, it’s easy to sort through them and when you get to a shrine, exchange these items for Amrita. Amrita being the experience of Nioh. That, or in the map view you can sell or scavenge them for gold or materials. These materials can then be used to craft whole new weapons or armor. That, or effectively level up a weapon that you have used enough to maximize familiarity with it. It’s this variety from the formula of games that have inspired Nioh that helps it so much. This variety of weaponry and armor increases the customisation available for William, the Irish character you guide through fantasy Japan. It also enables a large amount of variety in the way you fight within the game. This is by far the best part of Nioh, the combat and the way you can attack enemies and also the type of enemies you face. Of course, every weapon has its own unique style, as you would expect. Fighting with a spear will always be different to dual wielding swords. At the same time, facing off against a random samurai will require hugely different tactics to a flying harpy creature. The range of foes you encounter range from simple humans to fearsome Yokai. Yokai being monsters, spirits and demons from Japanese folklore. 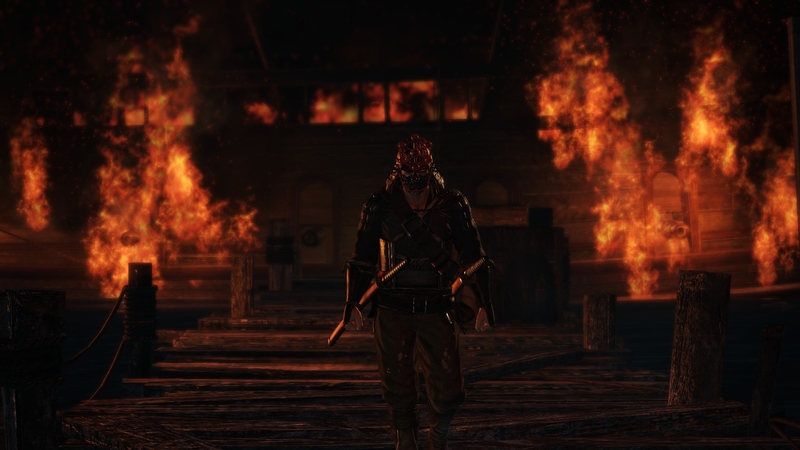 While you’re fighting, the true style of Nioh shines through. As you’re fighting you can quickly swap between the two melee or two ranged weapons you have equipped. This instantly offers a range of attacks, but barely touches the surface of what’s really available. With each weapon, you have a variety of stances. These stances pretty much boil down to quick attacks, regular attacks of heavy attacks. It’s the ability to rapidly switch stances to adapt to the attack patterns of your enemies that’s interesting. These enemies by themselves are incredibly interesting too. One of my large complaints is that the story of Nioh is flimsy at best. Were you to ask me now what it’s actually about, I couldn’t tell you. I know that I’ve fought in the fantasy version of Sekigahara and met quite a few historical people. I know i’m a grey-haired Irish man and some random lady said I’ve got blonde hair, which confused me. Honestly, the story is a load of nonsense which is easily skippable without costing the game much at all. Rather than even concern myself with this, I’ve had a far better time playing side-missions. These unlock once a core mission is complete and re-uses that mission’s map, with slight changes. Returning to these levels, fighting more enemies and gathering more of the items to boost William up is always great. More than this, it also allows for more of the moments in combat that make Nioh the game that it is. 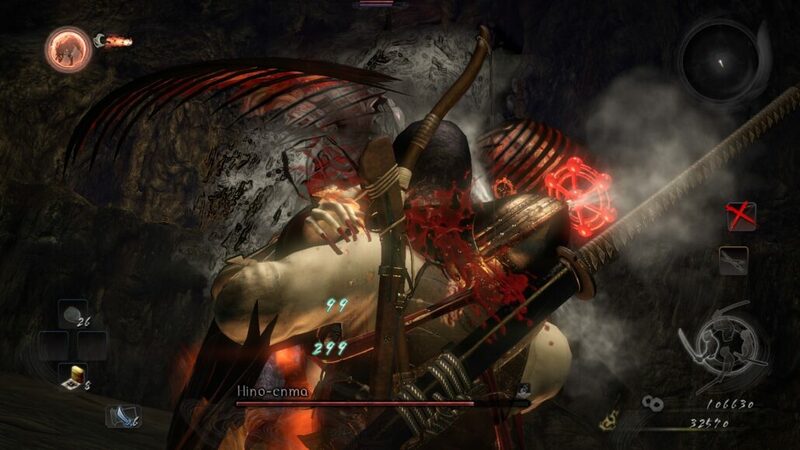 Exploring these maps also lets you encounter revenants. These are other players who have died in their own games. The bloody graves that highlight the location of these death sites indicate the equipment level of the player, the level and difficulty of the revenant. It even goes to the extent of explaining how the other player died. These battles are also some of the most engaging and testing in the game, essentially acting as mini-bosses. One of the major talking points of any PC port is exactly how well a game has been ported. Nioh suffers from the same problems that most Koei Tecmo games suffer from on PC. What I will say right away is that, on the highest settings available, it runs very smoothly. The rig I played it on has an Intel i7-6700 processor, 32GB of RAM and a Radeon RX480. Frankly, running it at the best I had available was no challenge at all, though this is due to limited choices. This starts with graphical options. Rather than have them built into the game, there’s a separate launcher. It’s essential that you launch this at least once as well, otherwise the settings will be at their worst. These options aren’t expansive, but they offer the basic of resolution, display options and framerate cap. Following this, you have a few extra options in-game. For the most part, it offers a fairly small range. What I can’t particularly understand are the options, the lack of description and the lack of variety. Nioh: Complete Edition also features ‘cinematic’ and ‘action’ modes that were in the PS4 Pro version of the game. It doesn’t really explain these, though you can guess. Nor does it explain the options you can choose from. 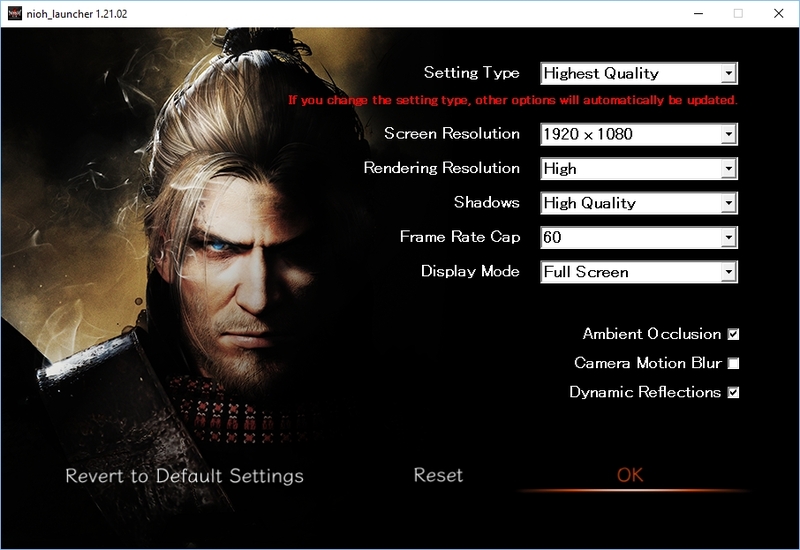 Unfortunately, Nioh doesn’t support any irregular (read: Ultra-wide) resolutions, and the game just stretches to fit the screen. What exactly is rendering resolution? I can’t exactly say, but I’m guessing from looking at low settings that it’s a form of supersampling. At least I know what shadows are. The lack of anti-aliasing is a fairly large omission that I can’t understand, though the rendering resolution may be the cause of that I’ve guessed correct. The one thing I can understand is the cap of 60 FPS, as the physics are likely tied to this and going higher could simply break the game. What I’ll never understand is the utter lack of mouse and keyboard support. Mouse input is literally non-existent, with keyboard bindings making little sense at all. WASD to move with other keys being used for something, though your guess is as good as mine. I won’t complain too much because ARPG’s like Nioh are better with controllers, with this being ported with the steam controller in mind. 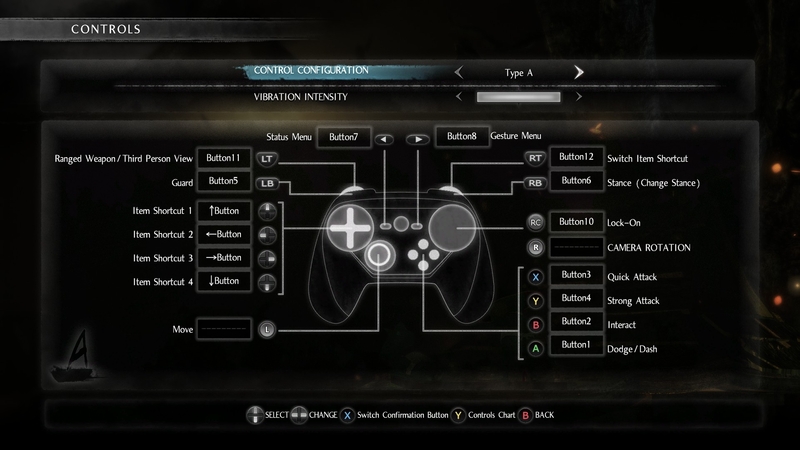 Fortunately, these settings transfer well to the Xbox pads, because there’s no customization options. There are at least a number of pre-made configurations, so you’ll likely find one that works for you. As can be expected of any complete edition, all of the content is included in this version of the game. This is as much as you can or should expect. There’s no new content, bar a helmet, the Dharmachakra Kabuto, that is exclusive to the PC release. This shouldn’t be a big surprise though, it’s just a good thing that Koei Tecmo have at least got a move on in porting Nioh with a little more speed than their usual fare. Frankly, it’s a better port than the company’s usual output on PC. Toukiden: Kiwami, Dynasty Warriors and Bladestorm all had huge problems on release and featured similar, if not more limited options. Fortunately, Team Ninja have revealed on Twitter that proper mouse and keyboard support will be patched in. Simply put, if you don’t have a PS4 at hand and you want to play the best non-souls Souls game, then Nioh: Complete Edition has you covered. The gameplay is just as good as the initial review indicates. The major problem being the options available in what is yet another limited Koei Tecmo PC port, though not their worst. Nioh: Complete Edition is a great game. That much should be expected as the original release was. However, much like all Koei Tecmo PC ports, this release suffers from some glaring omissions and limitations. Fortunately, Team Ninja have already announced some patches to start improving the release.